Add fuel stabilizer to a fresh tank of gas. Run the engine and let it cycle through for a few minutes. This will prevent old gas from deteriorating and leaving a residue. Keep tires off the ground if possible. If you can, preventing your bike from sitting in one spot while on the ground can help extend the life of your tires. The cold can cause tires that are not rotated to split or crack. If you are able to, raise your bike off of the ground. Avoid rust by waxing your motorcycle before putting it away. This will eliminate moisture from damaging or corroding the finish of your motorcycle. Keep in mind if you do not have a garage, storing your motorcycle can be costly. If storing your motorcycle is not an option, or you are looking to make money off of your bike rather than spend money, selling your motorcycle in Michigan is your best option! Just look think what you can do with the cash; pay for holiday shopping, look at getting a new motorcycle or maybe even buy a hot tub! Make winter fun sell motorcycle now! Need money for the holidays? Get cash for your motorcycle! Need money for bills? 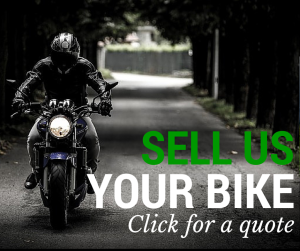 Sell your motorcycle in Michigan! No room for storage? Free pickup in Michigan!